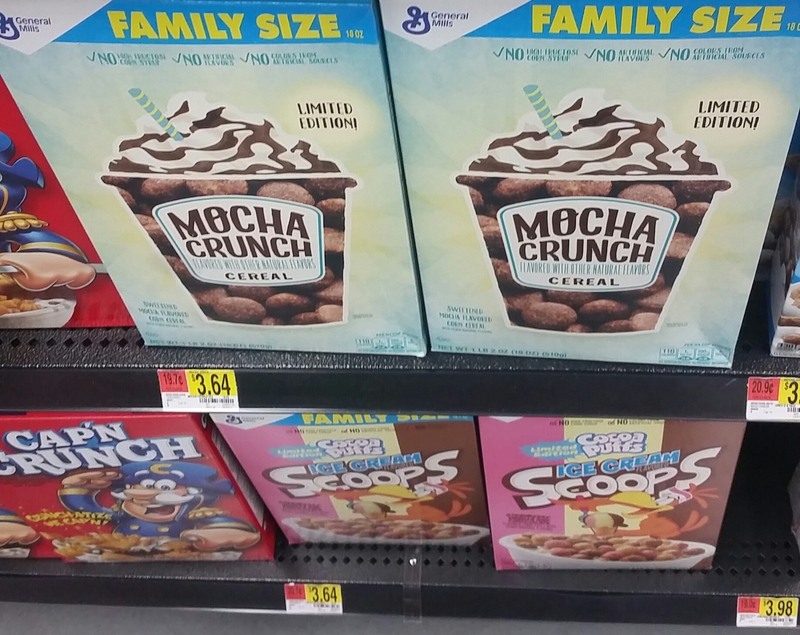 Ok, we were a bit excited to see a cereal box with what looked like a coffee on the box. Sadly, this was not a coffee cereal. The ingredients did not list coffee or coffee flavor. Might taste more like a Coco Puffs kind of cereal. Maybe this will lead to the Cappuccino cereal we’ve been wanting.